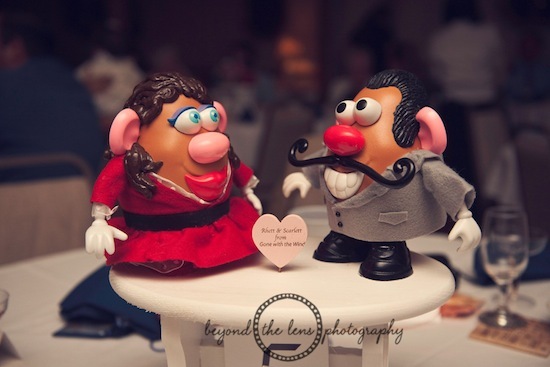 I just have to start this off by noting the Mr and Mrs potato heads - they were the centerpieces! Each Mr and Mrs potato head represented a famous movie couple ... original, adorable, a DIYers dream. I mean, check out their outfits - done to the T! Totally love it. 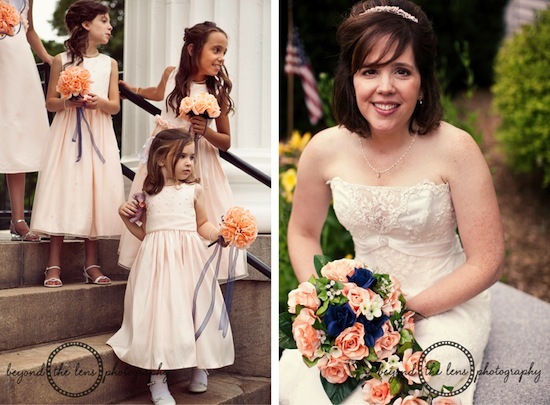 The bride and groom wore classic attire, the brides dress is stunning with the lace detail. 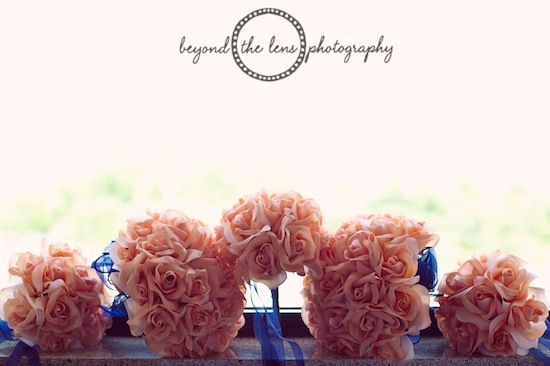 It took me a while to notice and finally figure it out, but I adore the silk bouquets! SO not what I think of when I think fake flowers - there are paths fake flowers can take that just shouldn't be taken, but these are done right, they're classy and elegant and just gorgeous. 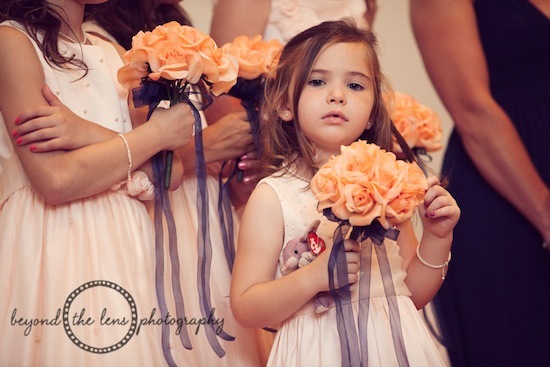 Props to the bride and groom and whoever created these wondrous silk bouquets! 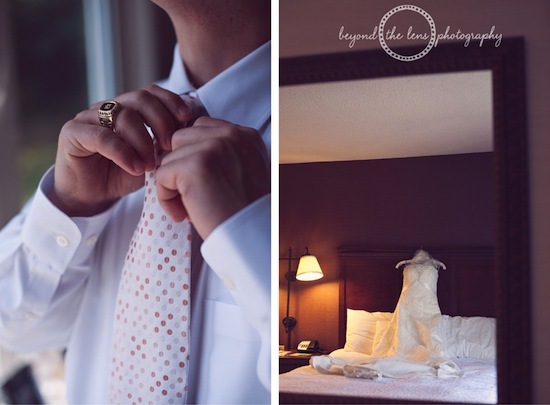 This wedding was photographed by myKPW member, Beyond The Lens Photography and was featured on their fabulous blog. 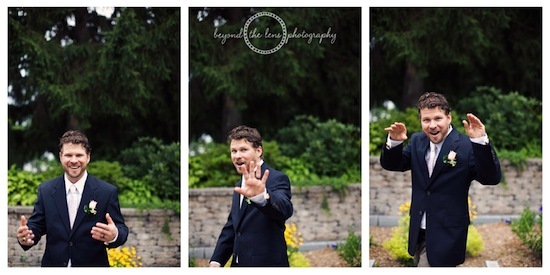 Photography credit: Beyond The Lens Photography and Rebecca Hales of Hales Studio.